FIT MY FLOOR (FMF) is the business venture of brothers Sam and Charlie Lewis, who decided midway through 2016 that it was time to go alone. 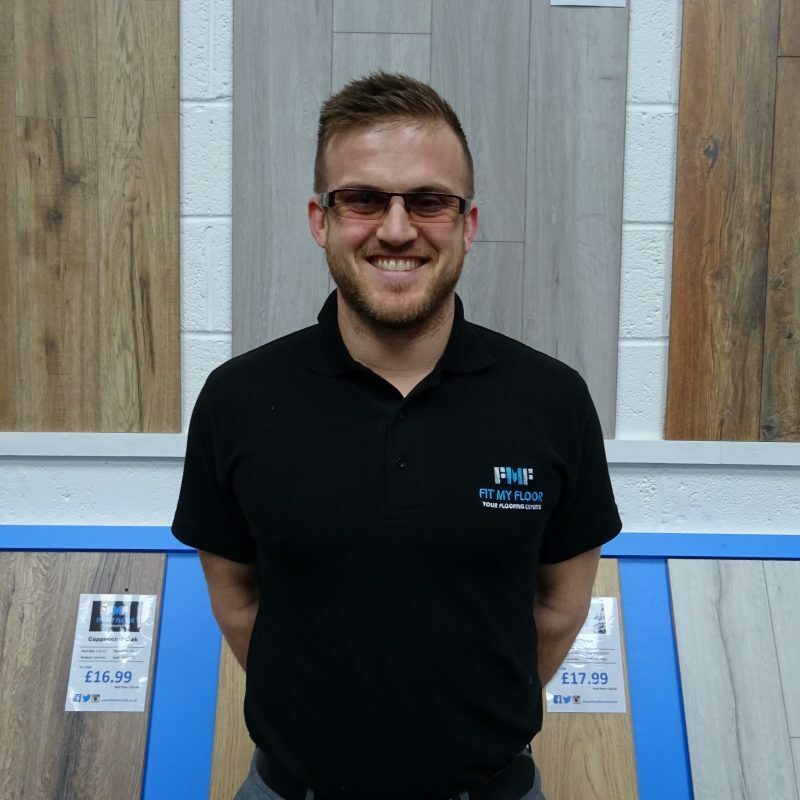 Using their combined knowledge/ experience of the flooring industry and passion for business, they have worked hard to proudly open their first Flooring Retail Store in Newport, South Wales. FMF has a wide selection of floor coverings, we supply and fit Real Wood, Engineered Wood, Laminate, Carpet, Luxury Vinyl Tiles, Vinyl, and all accompanying accessories. We also have a great range of contract flooring and we welcome trade customers. Our expert team will listen to your requirements and find a number of options to suit your style and budget, we have quality products at a competitive price. We offer a complete package of added value services, including free home measures, free delivery and professional fitting. Come and visit our 3,000 sq ft showroom, which is ideally located just 2 minutes from the highly popular Spytty Retail Park, the facility has great access and on-site parking. 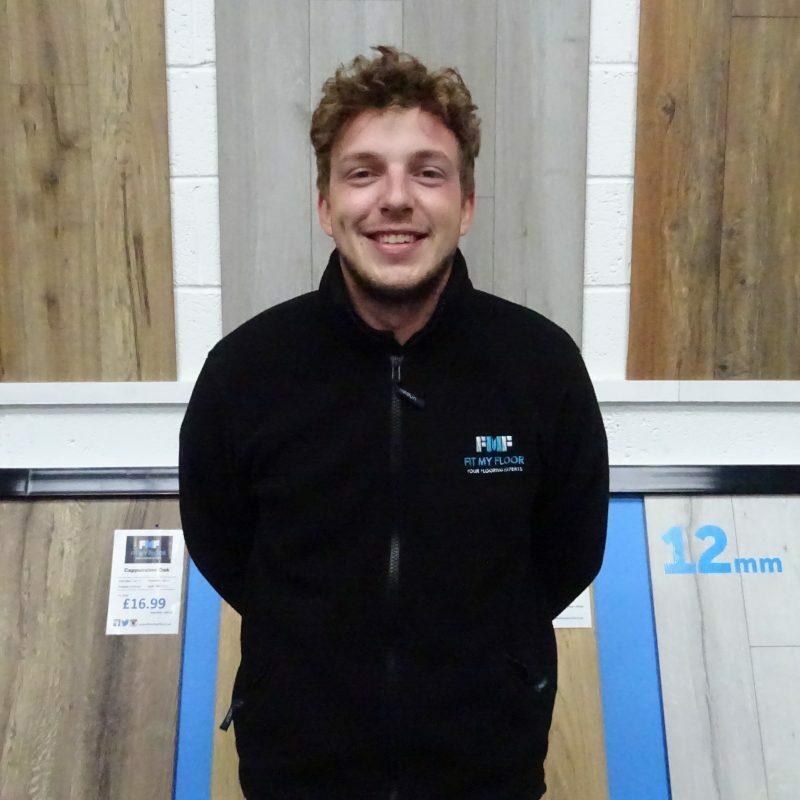 Sam, the eldest of the Lewis Brothers, has 7 years of experience working in the flooring industry. Starting off as a sales advisor working his way up to sales manager and store manager for the UK’s largest independent flooring company. He was the manager of their flagship store, which is also the highest turnover store in the company – turning over more than a million pounds each year with a team of 6 sales staff. The only sold flooring and he has therefore gained a very high level of knowledge on all products and services within the industry; there is no question he can’t answer and no customer he can’t help. Charlie studied Business Studies at Plymouth University and graduated with Upper Class Honours Degree. His 4-year degree course covered all aspects of business, which gave him knowledge of important subjects such as: accounting, marketing and operations. Charlie also has relevant work experience that will benefit him in this venture, he has: worked extensively in retail, been a marketing assistant for a multi-national organisation and held a high level sales position selling high value goods. Charlie has always had an entrepreneurial spirit and his dream has always been to have his own family business. Eddy is a seasoned professional when it comes to floor fitting, he has worked in the industry for almost 30 years and can fit all types of floor coverings. Eddy specializes in fitting our ever popular FMF signature staircase with laminate on the risers, which gives you a unique and stunning finish. Eddy is a perfectionist when it comes to his work, which he carries out to the highest of standards. This is evident from the hundreds of fantastic reviews he has received and the excellent reputation he holds in the area. Eddy alongside Steve will be carrying out all of the fitting services for FIT MY FLOOR and we are very pleased to be working with him. 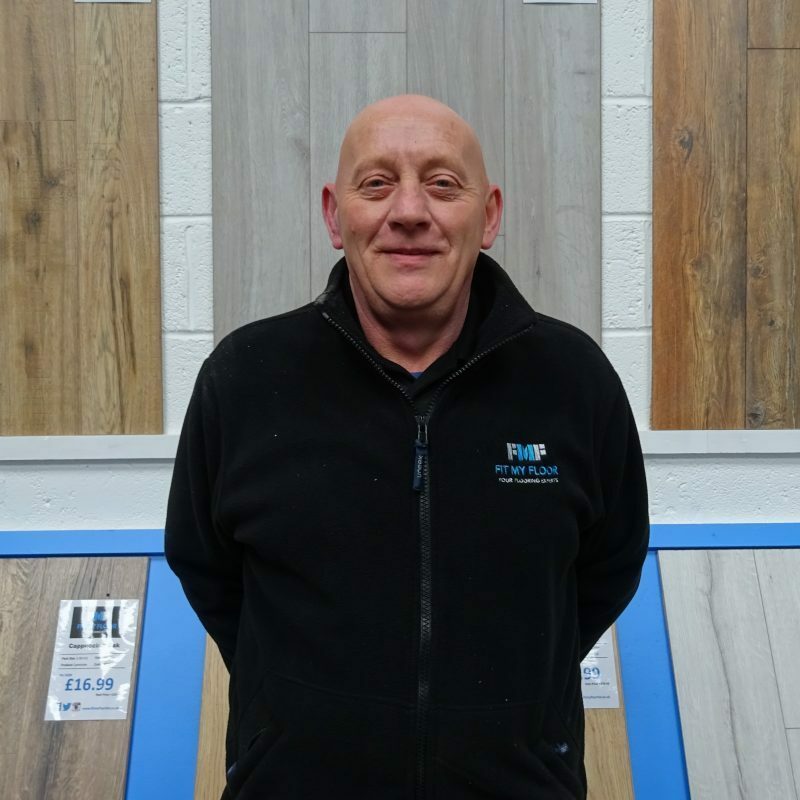 Steve has been a floor fitter for 10 years now and over that time he has mastered his trade and is able to fit all types of floor coverings to the highest standard. Steve is also an expert in sub floor preparation; he is our ‘got-to’ man for any screeding/ levelling jobs. He also specializes in fitting Luxury Vinyl Tiles, which he can lay: traditionally, parquet, bordered and many other custom designs. Like the FMF shop, the fitting team is also a family business as Steve is Eddy’s nephew, and the both of them work extremely well together. 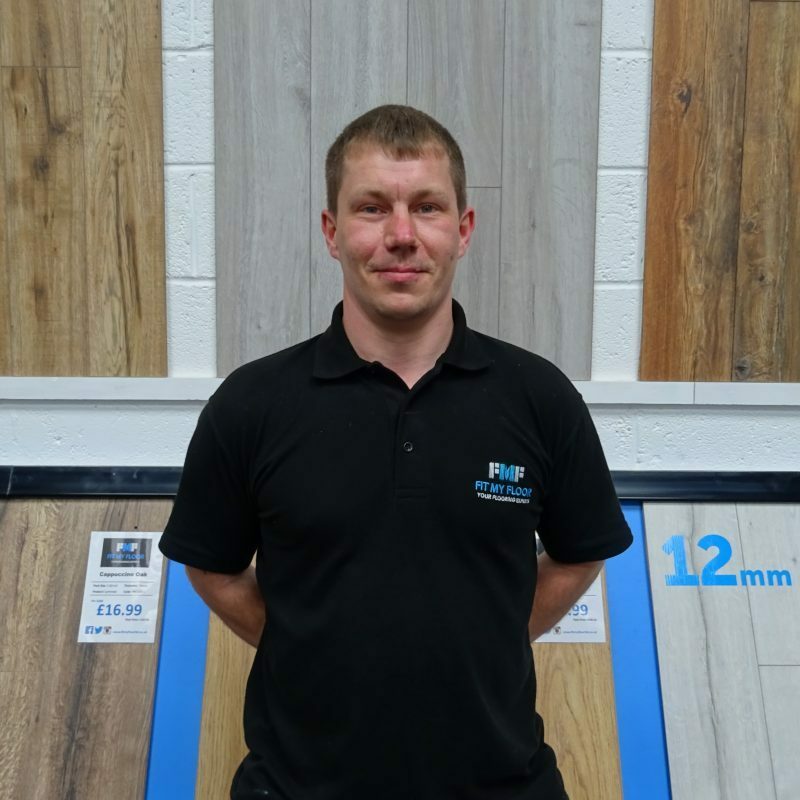 The addition of Steve to the team means FMF are able to offer shorter wait times for fitting and we can complete the work in half the time – meaning less disruption to your household during the fitting of your new floor coverings. Alfie has joined our expanding team as a full time Sales Associate, his main focus will be customer service as well as dealing with the daily responsibilities of running the shop. He studied at Cardiff Metropolitan University, and worked in retail alongside his studies. 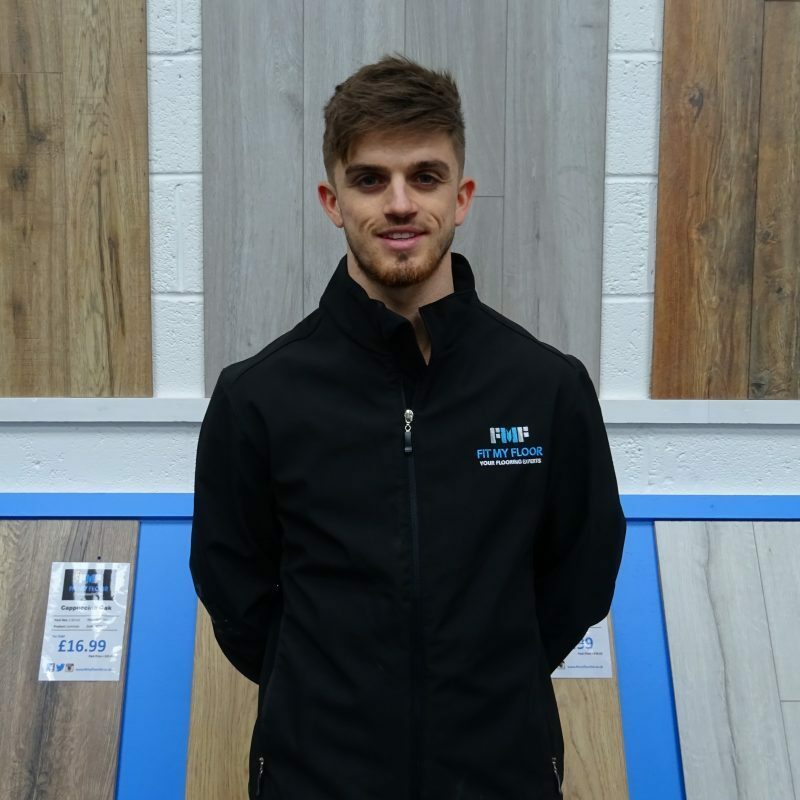 Although this is his first position working within the flooring industry, he has held multiple previous roles in customer service and is therefore extremely capable of providing the top level of service expected from FMF staff. Alfie will be a great addition to our family business and we look forward to having him as an integral part of the team for many years.